Keeping cool the fun way! We’re keeping cool the fun way at Central Kids Selwyn in Rotorua! 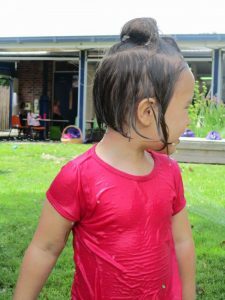 Tamariki are finding the hot weather is providing a great reason to engage in water play. 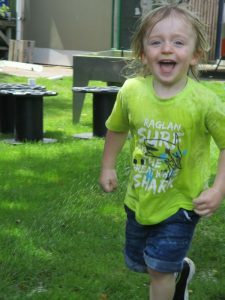 Whether it be through soothing play in water troughs or in the sandpit, or taking turns to run through the sprinkler our tamariki are talking, problem solving and learning together. Running through the sprinkler is a great way to connect with Papatūānuku, running across the grass in bare feet connects us to the land and the water is feeding our grass and trees. Recognising the importance of keeping cool is important in this weather and as well as water play, we are encouraging our tamariki to drink plenty of water to stay cool on the inside too.